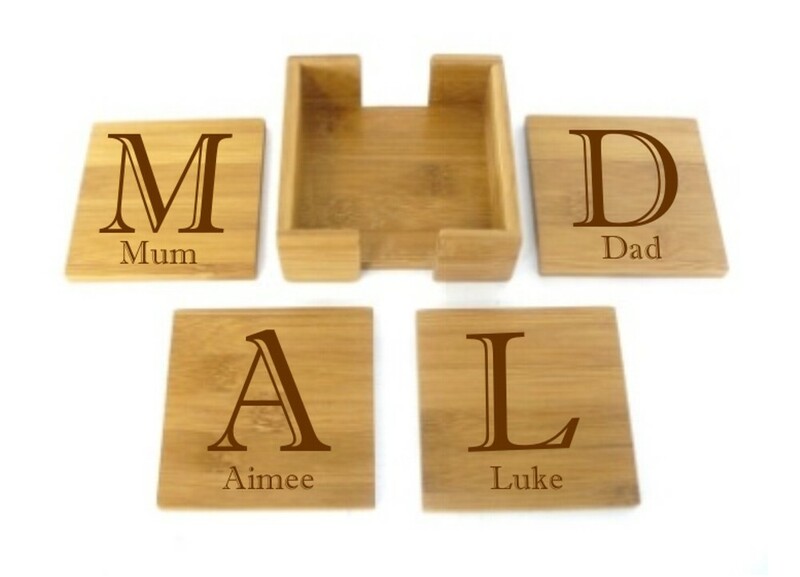 Personalised Engraved Bamboo Wooden Square Coasters Set. All you need to do is let us know the names you would like engraving. 1 name per coaster as per the image.